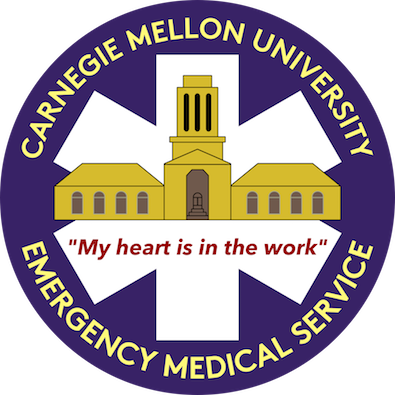 During the Fall and Spring semesters, CMU EMS regularly offers classes in First Aid and CPR taught by instructors certified by the American Heart Association and the American Safety and Health Institute. Instructors volunteer their time to educate the community so that certifications can be offered at some of the lowest prices in the Pittsburgh area. American Heart Association CPR. We can provide both HeartSaver+AED and CPR for BLS Healthcare Providers. Emergency Medical Technician. This class is offered in conjunction with local training centers (historically the Community College of Allegheny County or the Center for Emergency Medicine) once per year. It begins during Mini-2 and runs until the end of the following spring semester. It is listed in CMU's Course Catalog as 69-195. Please contact info@cmuems.org if interested in scheduling a class for your group, class, organization, etc.